From the often testy NAFTA renegotiations, falling oil prices, and impediments to pipeline construction, to the flow of irregular migrants across the border and the legalization of marijuana, 2018 proved to be an eventful year for Canada. The Epoch Times takes a look at the important stories in Canada and around the world that will continue to develop in 2019. With 2019 being an election year, Canadian politics is about to get a lot more interesting. Both Prime Minister Justin Trudeau and Opposition leader Andrew Scheer have said they want to run positive campaigns but there are several contentious issues that could put the kibosh on that, such as irregular migrants, Trudeau’s plan for a national carbon tax, and pipelines—or the lack thereof. New on the scene this election is former Conservative MP Maxime Bernier’s People’s Party of Canada, which some pundits say could end up splitting the conservative vote and keeping the Liberals in power. Bernier advocates for lower taxes, smaller government, and a return to the lower immigration levels in place during the Harper era. 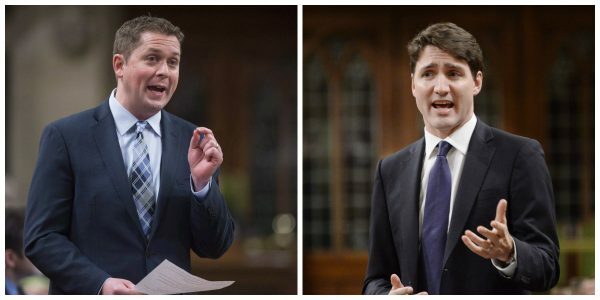 In a Dec. 19 Angus Reid poll that asked Canadians who they feel would make the best prime minister, 33 percent favoured Scheer while 27 percent preferred Trudeau—who had dropped from 46 percent in December 2017. NDP Leader Jagmeet Singh fell into the single digits on this question, statistically tied with Green Party Leader Elizabeth May. 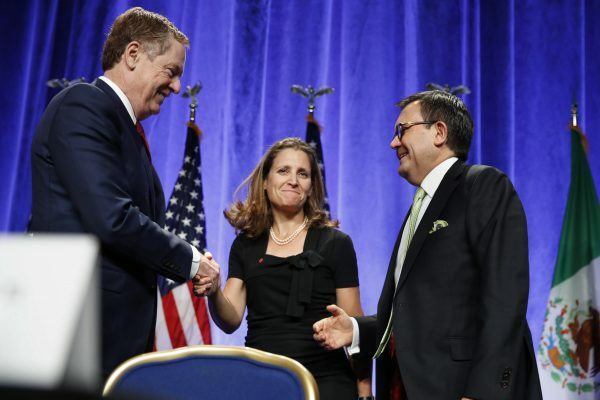 A big sigh of relief could be felt across the country when the new NAFTA (called the Canada-United States-Mexico Agreement, or CUSMA, in Canada) was announced on Sept. 30 after over a year of tough negotiations. Even though steel and aluminum tariffs remain in place, a great deal of uncertainty was lifted for the Canadian economy, and for the auto industry especially. Foreign Affairs Minister Chrystia Freeland was Canada’s lead negotiator and saw her star rise in 2018. Canada intends to diversify its trading relationships, and being one of the first six nations to sign on to the Trans-Pacific Partnership is a big positive. Canada can now trade more with Japan, the world’s third-largest economy, and a trading bloc of 11 countries with less reliance on playing a dicey game with China. CUSMA still needs to be ratified in Canada, the United States, and Mexico. 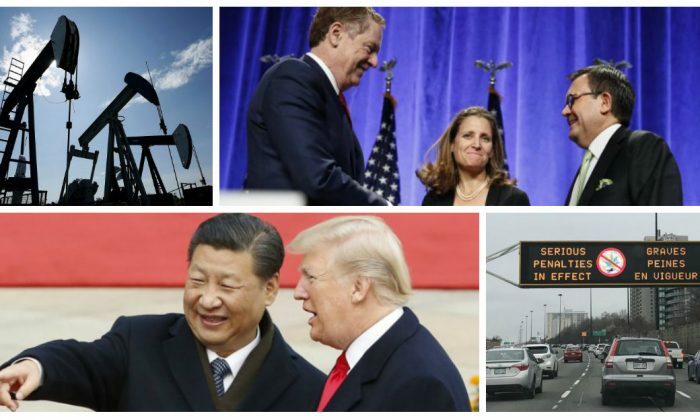 While a Democratic House in the United States could pose a problem for the Trump administration, much attention in Canada is focused on the “China clause” in the agreementーa requirement that forbids trade with a non-market economy. Freeland insists that the clause neither impinges on Canada’s sovereignty nor restricts its ability to trade with a non-market economy. But it would appear to forge closer ties between Canada and the United States, which has served Canada well. After some torrid growth in mid-2018, the Canadian and U.S. economies remain in good shape despite what late-year reactions in the stock market might suggest. The reality is that jobless rates in advanced economies are at multi-decade lows, yet inflation is muted. Businesses are generally looking to hire and invest, and earnings are still growing. Markets have scaled back their expectations for central bank rate hikes in Canada and the United States, even as both North American economies are running at above-potential growth rates. The end of the Bank of Canada and U.S. Fed’s rate-hiking cycle may be in sight in 2019. 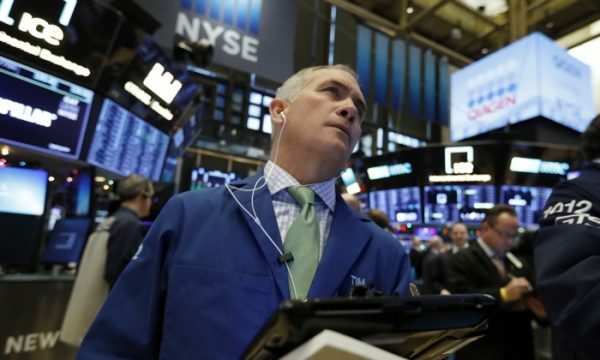 U.S. stocks had their worst year since 2008, and the Dow had its worst December since 1931, but many believe the drop is overdone considering the underlying strength of the U.S. economy. It certainly doesn’t look like a recession is on the horizon, although less rosy pictures in Europe and China are a cause for longer-term concern. 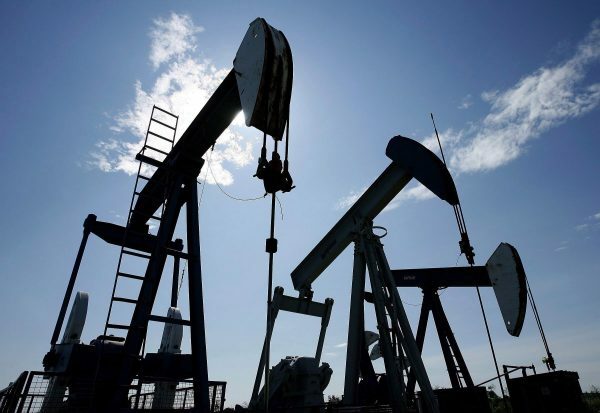 For Canada, the economy is still vulnerable to, but less dependent on, the oil and gas sector. The Canadian economy, which suffers from a lack of competitiveness compared to that of the United States, has underperformed economically and in the stock market. The federal carbon tax has become one of the most divisive issues between Ottawa and the provincial governments, and some pundits are saying that the next federal election could hinge on it. Starting in April, the four provinces that don’t have a carbon pricing plan—or have one that the government deems inadequate—will have a carbon tax imposed upon them. The four conservative premiers of Ontario, Saskatchewan, Manitoba, and New Brunswick, along with Jason Kenney, the leader of the United Conservative Party in Alberta, have banded together to fight the tax. Their federal counterpart, Opposition Leader Andrew Scheer, has joined them. In a counter move, Prime Minister Justin Trudeau announced the Climate Action Incentive, which would see Canadians in the four provinces receive pre-emptive rebates when they begin paying the tax in April. “Putting a price on pollution is the best way to tackle climate change, because it works,” Trudeau said when he announced the rebates in October 2018. 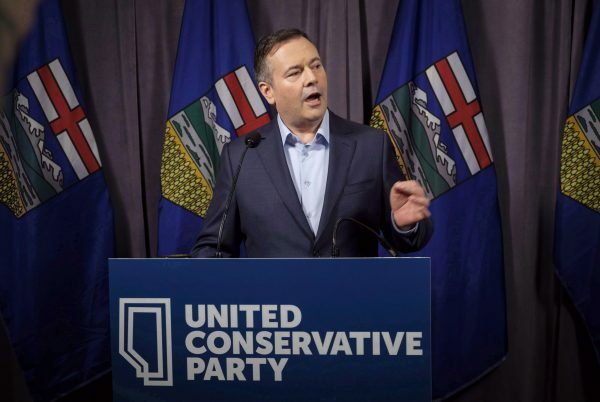 If Kenney wins the upcoming Alberta election—which the polls are predicting—it’ll help strengthen the premiers’ fight against the tax. Albertans will go to the polls sometime between March 1 and May 31. Market access should improve via additional rail capacity, and Alberta’s production curtailments should continue to stabilize the discount for Canada’s oil. In the run-up to the fall federal elections, meaningful progress is needed on the timing of the Keystone XL and TMX pipelines, and the Liberals realize this after their bailout for Alberta’s oil and gas sector fizzled. Signs point to weaker global demand in 2019, but managing supply appears to be more effective with OPEC pledging cuts. This is buffeted by U.S. President Donald Trump pushing for lower oil prices, and he remains influential to the narrative. Oilsands investment remains problematic, affecting Canada’s economy. However, some interesting initiatives can be seen as Alberta looks to build refineries and thus add value to the oilsands and potentially minimize the discount on Canadian oil. 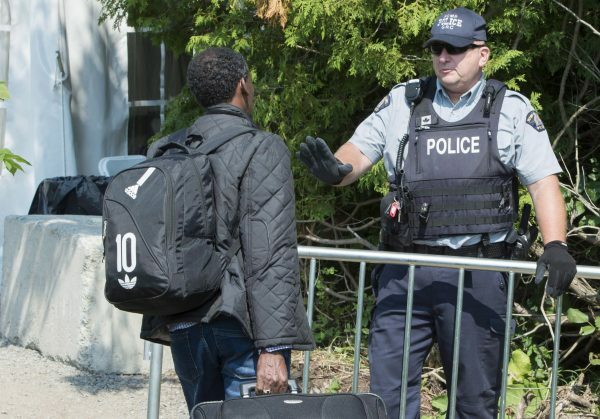 Over 38,000 irregular migrants who originate from countries such as Somalia, Haiti, and El Salvador have crossed into Canada from the United States since the beginning of 2017. This has become a hot-button issue in Canadian politics, with the official Opposition accusing the government of not doing enough to stop asylum-seekers from irregularly entering the country. Another bone of contention has been Canada’s signing last month of the U.N. migration compact. The compact is not legally binding but remains controversial, with critics alleging that its aim is to facilitate mass migration and open borders. Conservative Leader Andrew Scheer said the agreement will override Canada’s sovereign right to manage its borders. Prime Minister Justin Trudeau told reporters on Dec. 5 that the compact “is something Canadians can be proud of” because the government is showing leadership on the global issue of migration and immigration. Trudeau’s open-door policy on immigration might have an impact come election time. An Angus Reid poll released in August found a significant increase in the number of Canadians saying Canada should accept fewer immigrants; about half the population holds this view, up from one-third in 2014. When marijuana was legalized across Canada on Oct. 17, sales were to be restricted to people aged 18 and older, although the provinces could increase the minimum age. Quebec is choosing to do just that. In early December, the Quebec government tabled legislation that will raise the legal age to 21. The bill will also make it illegal to consume the drug in public places like parks and streets. “I think what we need is really a strong campaign to promote against the use of cannabis in our youth starting from teenagers all the way up to young adults,” Quebec’s deputy health minister Lionel Carmant told Global News. The effects of the drug on the still-developing brains of teens and young adults has been one of the medical profession’s main concerns, as well as the potential for addiction. Another worry is the coming legalization of edible pot products, set to happen by October 2019. Edibles are potentially dangerous because they are easy to overdose on. It’s also easier for edible pot to get into the hands of children, in whom even one standardized serving can have severe effects. In Colorado, where marijuana has been legal since 2012, there have been several cases of children under 9 ending up in emergency rooms after consuming edibles, despite packaging regulations. Meanwhile, to combat drug-impaired driving, most police forces are continuing to use the standard field sobriety test rather than the Draeger DrugTest 5000, the only device approved by Ottawa. According to The Globe and Mail, police in Vancouver, Calgary, Toronto, Montreal, and Halifax—as well as the provincial force in Quebec—say they haven’t purchased the device. 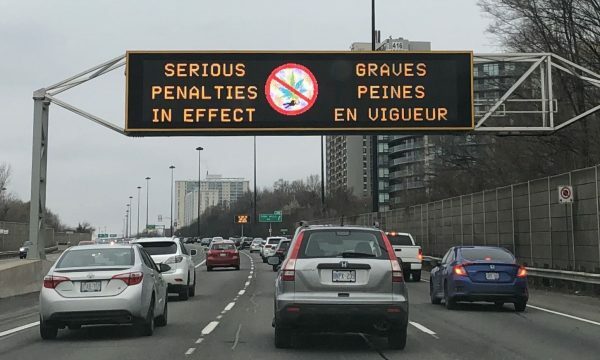 “All it’s going to do is confirm that there’s THC [the main psychoactive agent in cannabis] in the saliva, that’s it—it doesn’t give an indication of the level of impairment,” Superintendent Scott Baptist, Toronto Police traffic services district commander, told the Globe. Baptist is also co-chair of the Ontario Association of Chiefs of Police traffic-safety committee. The fentanyl crisis in Canada has become more acute in recent years, with more cases of fatalities caused by the abuse of the opioid being reported each year. The issue has become more concerning as China, the largest supplier of the drug to North America, is reportedly not cooperating in stemming the flow to Canada. Government figures show that between January 2016 and March 2018, over 8,000 Canadians died due to opioid use, with close to three-quarters of the deaths caused by fentanyl. 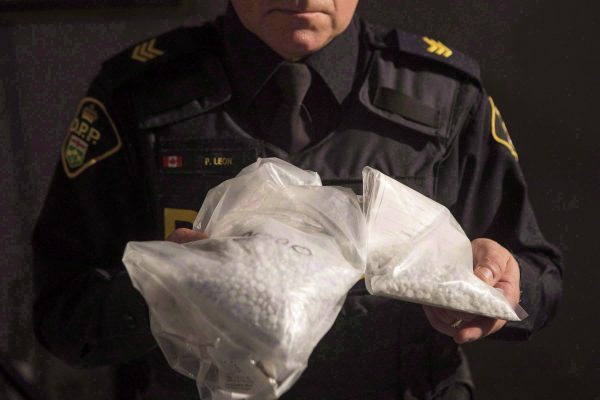 However, according to Global News citing unnamed sources, the opioid crisis in Canada could, in fact, get worse, as Beijing is not cooperating with Ottawa to curb the fentanyl flooding into the country. 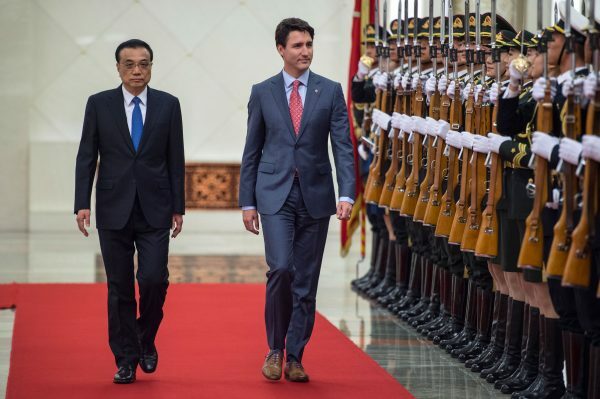 End to Canada-China Free Trade Push? Late in 2017, while Prime Minister Justin Trudeau was visiting China, Canada and China announced that formal free trade negotiations between the two countries was put on hold after the Chinese side reportedly refused to include progressive items such as labour and gender rights demanded by Trudeau as part of the deal. 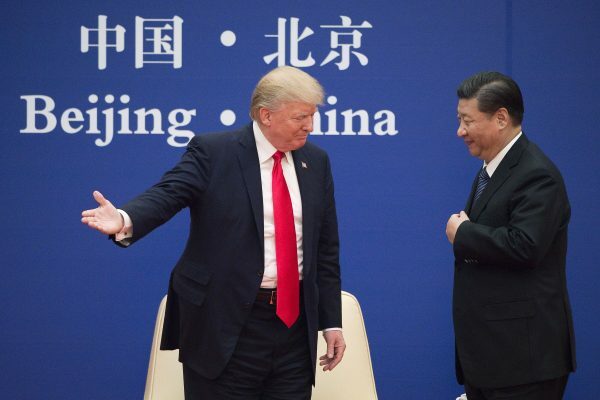 As trade tensions between the United States and China intensified in 2018, and as China’s economy bears the brunt of the U.S. tariffs, Beijing reiterated its desire for a free trade agreement with Canada while maintaining that it wants to have the ability to buy Canadian companies without Ottawa refusing takeovers on national security grounds. In November, a delegation of Canadian federal ministers and provincial ministers visited Beijing. However, while they announced a series of commercial deals between the two countries, formal talks on a free trade deal have yet to be seen. Government consultations and polls have shown that many Canadians are wary of a free trade deal with the communist country. China’s export volume to Canada is about twice that of Canada’s to China, with the bilateral trade deficit between the two countries currently sitting at close to 22 billion in China’s favour. Developing closer ties with China was one of the objectives on the Liberals’ agenda after winning the election in 2015. The government even launched a PR campaign to butter up Canadians regarding developing closer relations with China. 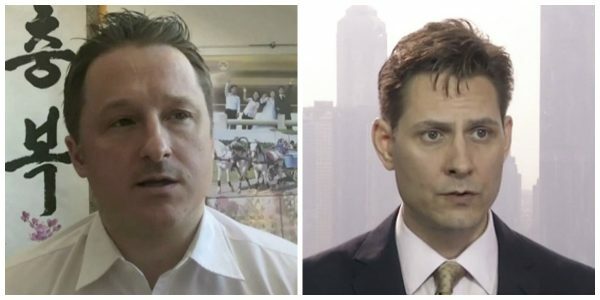 However, after the Dec. 1 arrest of Huawei CFO Meng Wanzhou in Vancouver on a U.S. extradition request, followed by Beijing’s detention of Canadians in apparent retaliation, Ottawa found itself launching a different campaign—this time to get allies to pressure the regime to release the Canadian citizens. As shown in the federal government’s public consultation, the Chinese regime’s disrespect for the rule of law and refusal to play by the rules are among the many concerns cited against having a free trade deal with China. In threatening “grave consequences” for Canada if Meng isn’t released immediately and by detaining Canadians, Beijing has shown once again that it doesn’t respect the rule of law or the fact that Canada has an independent judiciary system. As the Meng Wanzhou saga continues, Beijing-Ottawa relations and whether Canada will rule out a free-trade agreement is a story that will continue to unfold. The arrest of Huawei CFO Meng Wanzhou on Canadian soil on a U.S. extradition request drew the ire of Beijing, which warned Canada of “grave consequences” if Meng is not released, and later detained Canadians citing national security concerns. Huawei is a key part of the Chinese Communist Party’s agenda to ensure Chinese-made systems dominate the global landscape. Current and former intelligence officials in a number of countries have sounded the alarm about Huawei’s close relationship with Beijing and its potential for use by the Chinese regime for espionage. With its faster connectivity speeds, 5G is set to become the foundation for powering “internet of things” items, such as electronic devices, autonomous vehicles, and home appliances. Such devices can be monitored and controlled remotely—hence, the technology also has surveillance applications. Canada is the only member of the Five Eyes intelligence alliance to not ban Huawei in some form, either through the government or through major telecommunication companies. According to Public Safety Minister Ralph Goodale, Canada still has “not arrived at a conclusion” on whether to ban Huawei from the 5G network development. 2018 was the year that the United States rewrote its relationship with China. It began with President Donald Trump’s decision to tackle the Chinese regime’s practice of intellectual property (IP) theft. Trump used tariffs to punish China for its longtime trade offences as well as to shine a spotlight on Beijing’s “Made in China 2025” economic blueprint—the ambitious game plan for China to dominate several cutting-edge technology industries and become an advanced manufacturing powerhouse by the year 2025. But working to force China to change its trade practices was just the beginning. The message was clear: The United States would no longer simply stand by as Beijing undermined U.S. interests, on U.S. soil and abroad. Pence hinted at the all-encompassing scope of a more hardline U.S.-China policy in the years ahead. Past administrations have ignored China’s misbehaviour, “but those days are over,” Pence said. Also in 2018, the Trump administration and U.S. Congress—in a show of bipartisanship—tackled China’s aggressive IP theft; espionage and influence campaigns; manufacture of the highly toxic opioid fentanyl, responsible for tens of thousands of deaths in the United States annually; and expansion of geopolitical interests around the world. It was an unprecedented attempt to force China to play fair. Amid a year of tough legal action, the U.S. Department of Justice pulled off perhaps the boldest move yet: requesting the arrest and extradition of Meng Wanzhou, the CFO of Chinese telecom giant Huawei. Since Huawei is a key company financially supported by the regime to fulfill its tech ambitions—including to carry out China’s planned global 5G rollout—her arrest prompted swift, angry reactions from Beijing. Similar to how the United States slapped an export ban on Chinese telecom firm ZTE for non-compliance with court agreements related to its violation of Iran sanctions, Meng’s prosecution could be a taste of what’s to come if China continues to flagrantly ignore established international norms. For now, the ongoing trade row has taken a toll on an already-slowing Chinese economy, putting pressure on Chinese leader Xi Jinping and his leadership to make the right compromises. A 90-day truce has commenced, with China making some concessions, such as cutting tariffs on U.S. car imports. It remains to be seen whether, in 2019, the regime will make fundamental changes to its economic policies that support and prop up domestic sectors to the detriment of the United States and other Western competitors. In its quest to become a dominant geopolitical force on multiple fronts, Beijing launched a series of initiatives that have spread its influence far beyond Asia. 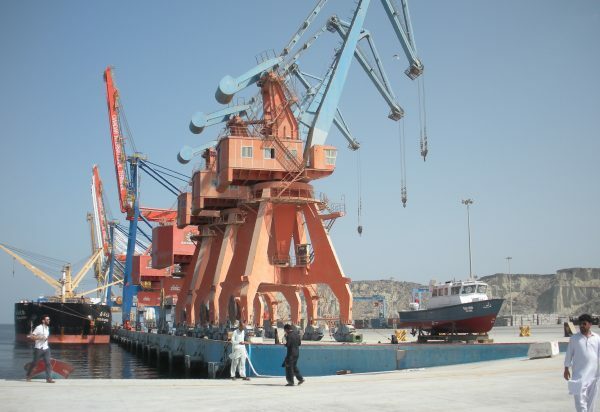 One of Beijing’s most ambitious plans is the Belt and Road initiative (BRI), which aims to deliver trillions of dollars of infrastructure investment to connect Asia, Europe, and Africa. In recent years, however, BRI has come into question, as most of the projects are financed through Chinese state-controlled lenders, leaving borrowing nations distressed by massive debt burdens. This was the case in Sri Lanka, for example, where the control of a strategic port was handed over to Beijing after Sri Lanka failed to pay its debt. “Made in China 2025” is another initiative announced in 2015 to develop China into a “powerful manufacturing state” from a “big manufacturing state” by 2025, placing particular emphasis on research and development in the country’s technological and scientific field. The plan has been criticized as being largely reliant on industrial espionage primarily targeting Western countries. As part of its ambition to dominate the technology landscape, the Chinese Communist Party (CCP) has identified core technologies, including satellite GPS, internet infrastructure, and semiconductors, with flagship companies such as Huawei and ZTE playing key roles. Through the BRI, the regime is constructing core infrastructure that includes exporting the “China Model” for totalitarian governance. The Council on Foreign Relations reported in July that “China’s exporting of surveillance goods is a critical component of its ‘Digital Silk Road’”—part of the BRI initiative that gives Chinese tech companies more access to new markets. In China there’s a concept of “surpassing you at the curve,” and that’s become a guiding concept for the CCP’s aim to overtake the world’s technology leaders. The idea is that it’s very difficult to surpass someone already ahead in a certain area, but when the whole world is making a turn, that person can be surpassed. Under the CCP, that means a focus on new and emerging technologies is paramount, as can be seen in Huawei’s relentless push to be involved in the development of emerging 5G networks in different countries from the inception phase. China’s push to increase its geopolitical influence and United States’ and allies’ countermeasures to curb its influence will be an important topic to watch in 2019. Tweets about human rights abuses in Saudi Arabia from Canada’s Global Affairs Ministry last August severely strained relations between Ottawa and Riyadh. Then came Canada’s targeting of 17 Saudi nationals with sanctions under the Magnitsky Act. 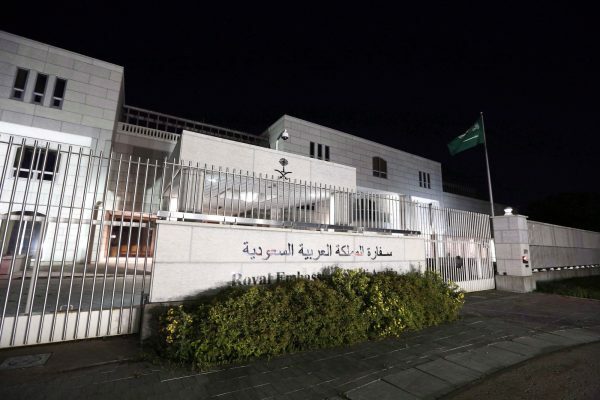 The 17 were linked to the killing of journalist Jamal Khashoggi at the Saudi Consulate in Turkey, as Canada’s move followed in the footsteps of the United States and some other countries. However, Canada’s controversial $15 billion arms contract with the Saudis has remained in place despite pressure on Ottawa to cancel it, especially due to Khashoggi’s murder but also because of Saudi Arabia’s involvement in the war in Yemen. But on Dec. 16, Prime Minister Trudeau said for the first time that the deal may be cancelled, telling CTV that the government is looking for a way out of it. 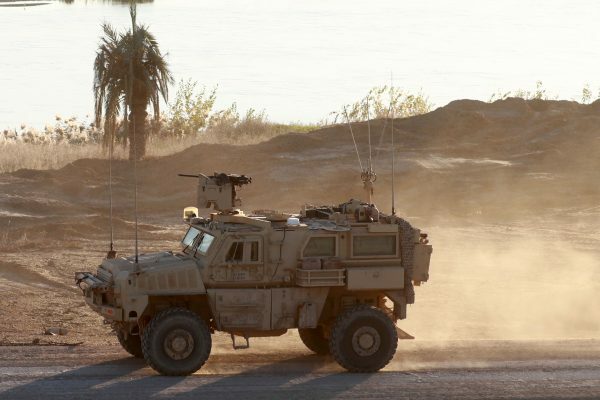 A few days later, General Dynamics Land Systems, whose plant in London, Ont., is building the light-armoured vehicles, warned that scrapping the deal would cost not only jobs but billions of dollars. “Terminating the contract would have a significant negative impact on our highly skilled employees, our supply chain across Canada, and the Canadian defence sector broadly,” the statement added. U.S. President Donald Trump caught many by surprise on Dec. 19 by doing what he promised on the campaign trail and foreshadowed in August: He ordered U.S. troops out of Syria, having virtually defeated the ISIS terrorist group in the region. The exit signifies a new stage in the rollout of the “America First” agenda, extending it, for the first time, to how the White House deals with military engagements around the world. The exit from Syria is likely the first of many moves by Trump to shift the global military theatre with American interests in mind. Sources in the administration told The Wall Street Journal that Trump has also ordered a complete withdrawal from Afghanistan, with 7,000 of the 14,000 troops there scheduled to return home over the next several weeks. U.S. President Donald Trump forced North Korean leader Kim Jong Un to the negotiating table using diplomatic efforts backed by sanctions and a credible military threat. At the conclusion of their historic summit in Singapore in June, Trump and Kim signed a joint statement in which North Korea declared its “unwavering commitment to complete denuclearization of the Korean Peninsula.” The two leaders will have another summit in 2019. 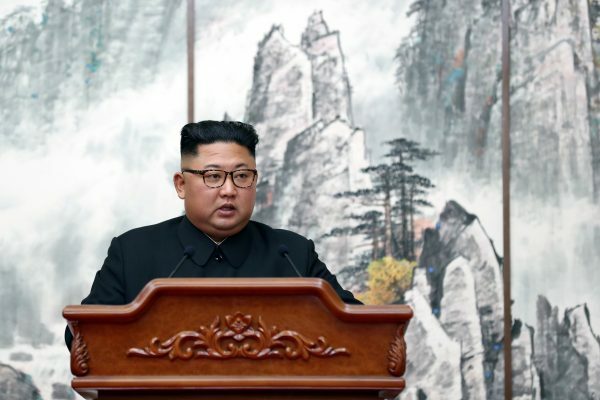 However, as the United States continues to pressure North Korea for complete denuclearization, the biggest wildcards are the Chinese communist regime—the North’s biggest backer—and Russia, which has sought to extend its influence. Even before the second wave of U.S. sanctions against Iran came into effect in November, Iran was already feeling the economic pressure from the looming restrictions: Its currency had crashed, much of foreign capital and businesses had fled, and many domestic businesses had gone bankrupt. “The United States has launched a campaign of economic pressure to deny the regime the funds it needs to advance its bloody agenda,” President Donald Trump said. Even though major sources of revenue have been cut off thanks to the sanctions, the Iranian regime still maintains considerable foreign currency exchange reserves. The United States is demanding other countries stop doing trade with Iran and has asked Russia to pressure Iran to leave Syria. 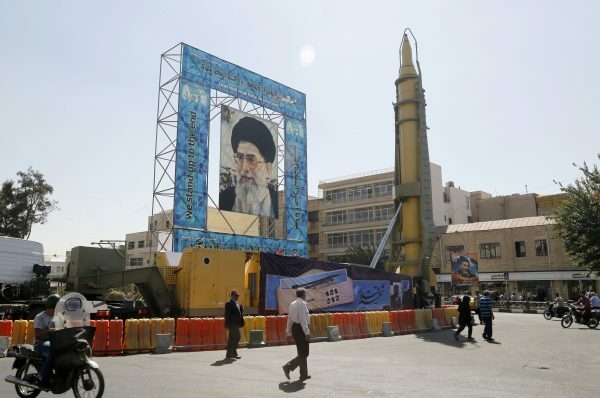 With Iran increasingly being isolated, having diminished sources of income, and seeing frequent protests as unrest grows among its citizens, the developments in that country and the proxy wars it’s involved in will be a story to watch in the year ahead. The arrest of Meng Wanzhou, CFO of Huawei, irked Beijing enough to reveal its true colors, says Sheng Xue.